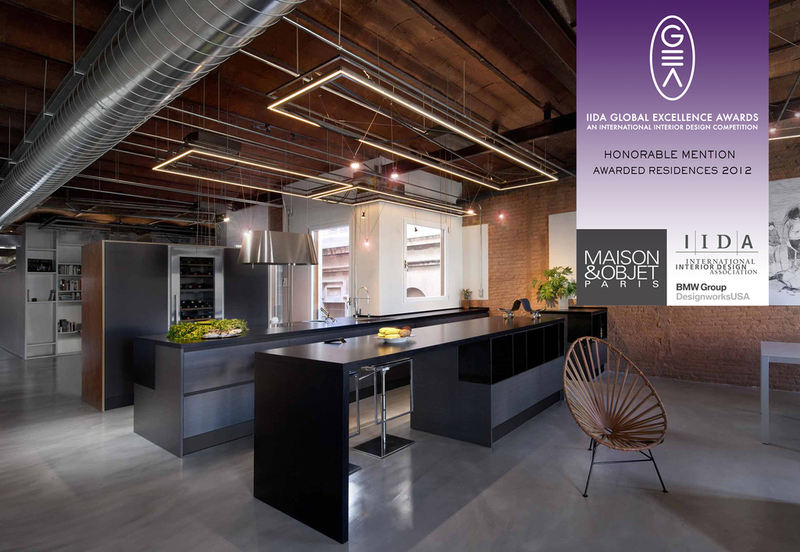 The Communicating Vessels apartment renovation has been awarded with an “Honorable Mention “at the 2012 Global Excellence Awards for IIDA, International Interior Design Association, Chicago. This annual worldwide design competition was established to honor and celebrate outstanding originality and excellence in the creation of international Interior Design/Architecture projects in ten categories. The recognition of this work falls under the category of Residential and has being recognized as one of the top three residential interiors for 2012.